Lately I’m redoing things instead of adding something new to the van – let’s call it constant improvements. Changing the shore power connection is the latest example. I had a simple pass through for the shore power cable but with the storage drawers installed I wanted something simpler and avoid opening and closing the drawers just to connect to shore power while camping. I’ve opted for a normal RV style charger inlet, in my case the Marinco 150BBIW . The biggest challenge in my case was that the previous cable hatch left a 3 inch hole in the van sheet metal and the charge inlet required a much smaller (1 7/8″) hole. But I remembered the waterproof connection box that I used to upgrade the solar cable connection through the roof of the van. The top of that box was plastic with a rubber gasket that would be the perfect size to cover the bigger hole in the sheet metal. 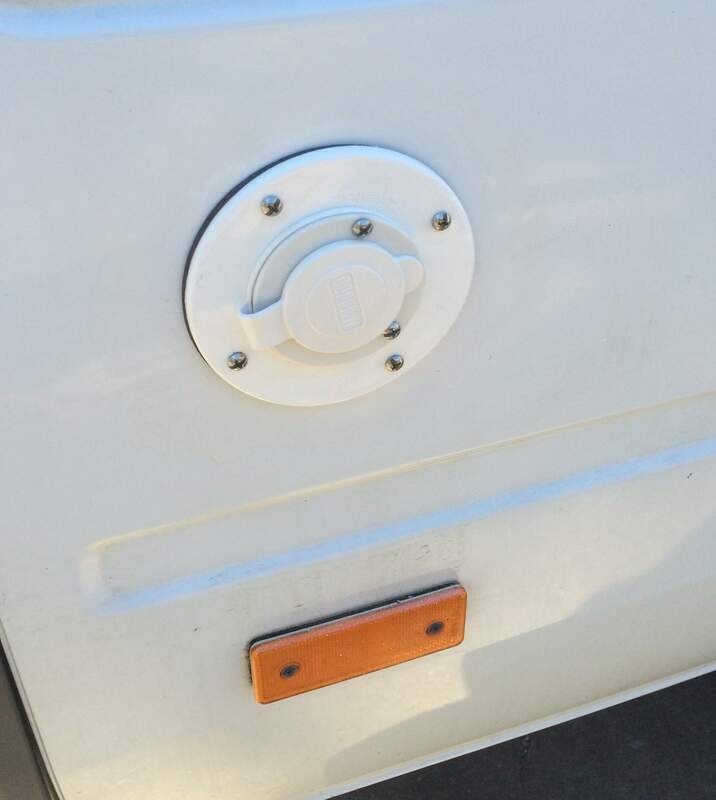 So, I first drilled the smaller opening in the plastic cover to install the Marinco charger inlet and then attached the whole assembly to the van. The final result can be seen in the pictures. Marinco Charger Inlet with the power cable plugged in. Sorry for the blurry picture. Plastic connection box if you have the same problem I’ve had and need to cover a bigger hole to begin with. 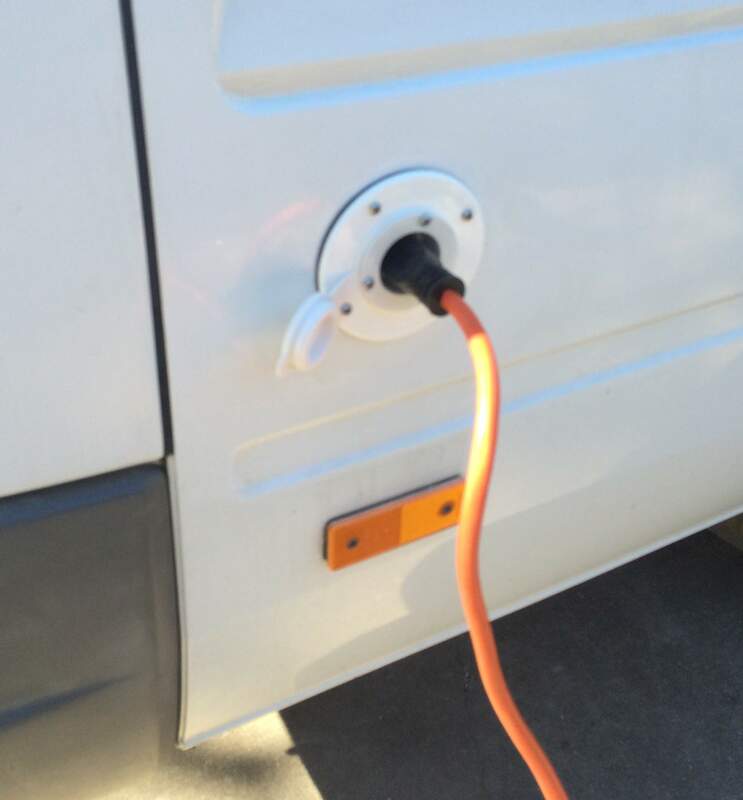 when you are hooked up to shore power like that do you need a breaker box like travel trailers have ? I was wondering about adding an elec outlet also to the shore power connection ?